The Black Vixen is one of the most prodigious killers in modern Fly Fishing. It should be fished on a Floating Line with a leader of about 3 m (10ft) or more. After the fly has sunk to the required depth, the retrieve should be a short pull of about half a metre (18 inches), pause, some light twitches, another pull, pause and so on. This will activate the tail section adding lifelike realism. Tail : Black arctic fox with silver lite brite. Body : Medium silver overwound with lurex. Two wings : Centre and forward, both black arctic fox body fur. 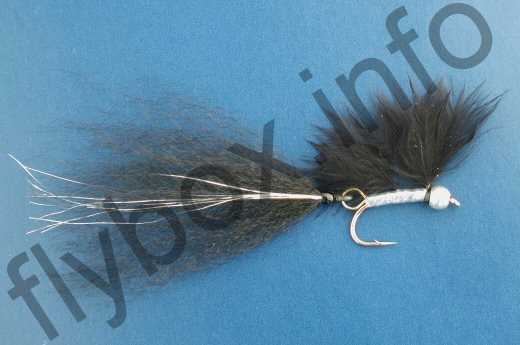 Currently there are no comments about the Black Vixen fly pattern from other fly fishermen yet.